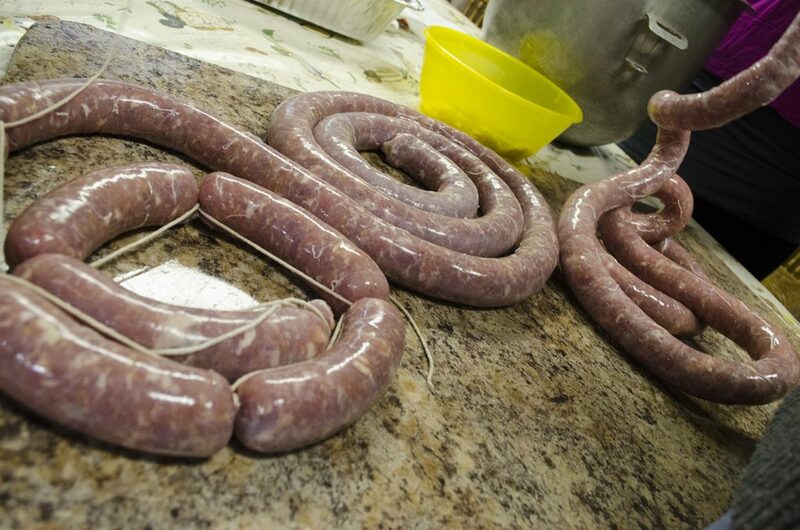 Rob Bornais of Robbie’s Gourmet Sausage Co. will be on hand at Rino’s Kitchen on Saturday, May 24, 2014 at 1:00pm to guide you through the process of making your own homemade sausages from scratch. Rob will make a traditional sausage as well as a unique flavour that he is becoming famous for. This class will run approximately 2.5-3 hours and includes beer sampling from Walkerville Brewery to accompany the sausage sampling. You will also be taking home approximately 2-3lbs of sausages to cook at home. Space is limited to 10 people and cost is $75 per person.